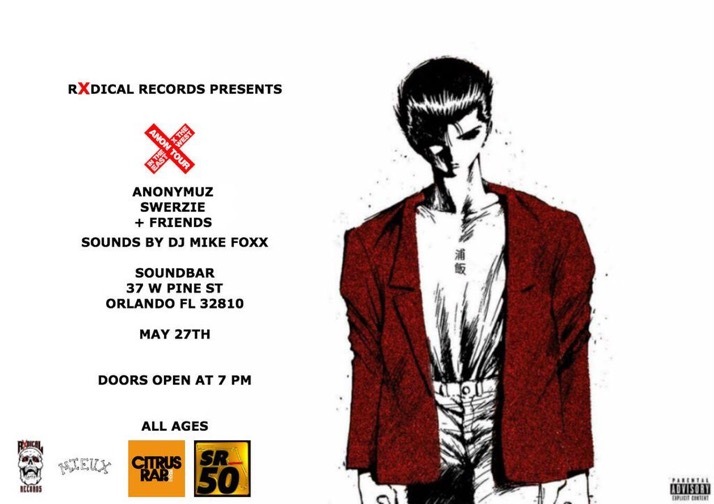 Anonymuz from Broward County drops a stunning video for “Urameshi” off of his latest EP, which is also called Urameshi. Styled in a 80s Kung-Fu movie set up and maybe even saying a bit of Kill Bill, Anonymuz turns into a master warrior that spits hard hitting bars that make direct impact. Every rhyme is sharp as a samurai’s blade that cuts deep inside the Downtime produced beat. Inspired by the anime character Yusuke Uramesh from the popular anime show YuYu Hakusho, Anonymuz blends together both cultures of hip-hop and anime into this work of art that is just straight fire. Anonymuz is a true artist and a raging rapper that doesn’t show mercy. Be on the lookout for Anonymuz as he’s going on tour. On May 27th you can catch him at the SOUNDBAR in Orlando at 7pm. You’ll find him and his fellow team of Radical Records showcasing their artistic talents. You can purchase tickets here. May 7, 2018 by papicleve.